We're approaching the end of the season and Premier League clubs are focussed on securing good finishes, but that doesn't mean they don't have half an eye sizing up the transfer market. Portuguese starlet Francisco Trincao has refused to comment on or be distracted by speculation linking him with a big money move away from current club Braga. A Birmingham Mail report claims the €30m-rated 19-year-old is of interest to Wolves, having also apparently caught the attention of Manchester United, Arsenal and Juventus. "I am doing my job. Whether people are appreciating it or not, is not for me to comment. At this moment I am at Sporting Braga and I will do my best for the club," he said when quizzed by the Portuguese media. According to CalcioMercato, Newcastle are interested in signing French defender Yoann Barbet from Championship club Brentford. Barbet's contract with the Bees is due to expire at the end of the season, meaning he would be available to the Magpies as a free agent. Aston Villa are also credited with interested, with current Villa boss Dean Smith managing Barbet during his own time at Brentford. Chelsea striker Olivier Giroud could return to his native France at the end of the season, although the subject of the Frenchman's future seems far from a closed one. An £18m signing from Arsenal in January 2018, Giroud is out of contract this summer and Le10Sport highlights apparent interest from Ligue 1 clubs Marseille and Lyon. It is said that Giroud hasn't ruled out joining either side, but the offer of a contract extension at Stamford Bridge is also not something that is yet off the table. Arsenal continue to be linked with Roma midfielder and 2018 World Cup winner Steven Nzonzi, a player Gunners boss Unai Emery previously managed at Sevilla. A report originating in Italy suggests that while there have been no Premier League offers as of yet, a number of clubs are interested in the 30-year-old. Whether weak or strong, the assumption is that Arsenal could be among them given the gossip of the last few months and the Emery connection. However, Marseille are also said to be interested in Nzonzi and could be competition. 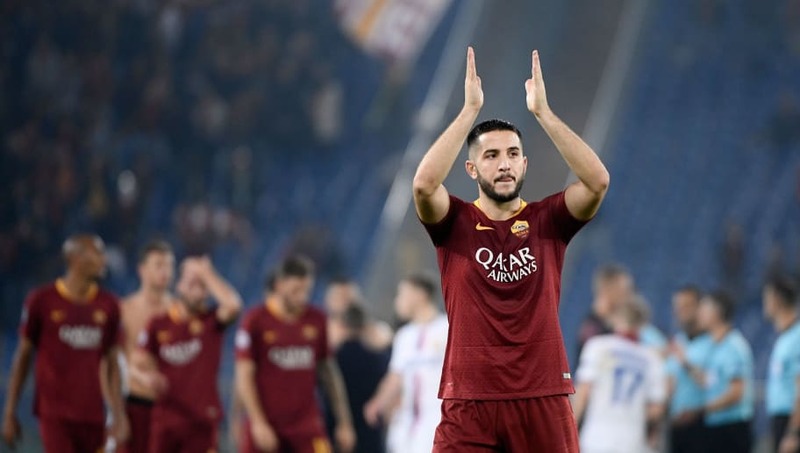 CalcioMercato have brought back Manchester United's 'interest' in Roma defender Kostas Manolas after a story which explains the Greece international's release clause could make him an easy target if Roma fail to qualify for the Champions League emerged. The release figure is €36m (£31m), while he and others have been tipped to leave if the club is absent from the top level of European competition next season. Roma are currently fifth in Serie A, four points behind AC Milan in the race for the all-important fourth place. The Daily Mirror have picked up the story and thrown Arsenal into the mix for good measure. Napoli have been tipped to win the race for PSV Eindhoven and Mexico winger Hirving Lozano, if indeed there is a 'race' for his services. A report from CalcioMercato claims Napoli have entered talks with PSV, who are said to want €40m (£34m) for the player. Napoli have apparently 'warmed' to the idea of paying that much as they are alleged to be keen to have a deal in place before the summer begins. Manchester United, Arsenal, Barcelona and Everton are among the clubs that have been loosely linked with Lozano in the past, which is where the competition 'could' come in. It looks to be a one-horse race for now, but standby for 'Napoli beat Premier League clubs to signing' headlines.